I know you must be pretty darn tired of me rambling on about my skin. #sorryimnotsorry While years ago, someone kept whispering in my ear that Tea Tree is great (their words, not mine) for treating acne-prone skin, I’ve learned the hard way that my skin doesn’t quite agree with that particular statement. Being know as a purifying oil, most of the time it’s also forgotten that it’s very aggressive, making me stray away from anything labeled “tea tree”. However, with my recent discovery of OV Naturals Purifying Tea Tree Facial Oil, it might’ve changed my opinion for the better. OV Naturals is a UK brand established by the lovely Lucy Stevens, who’s a professional aromatherapist. 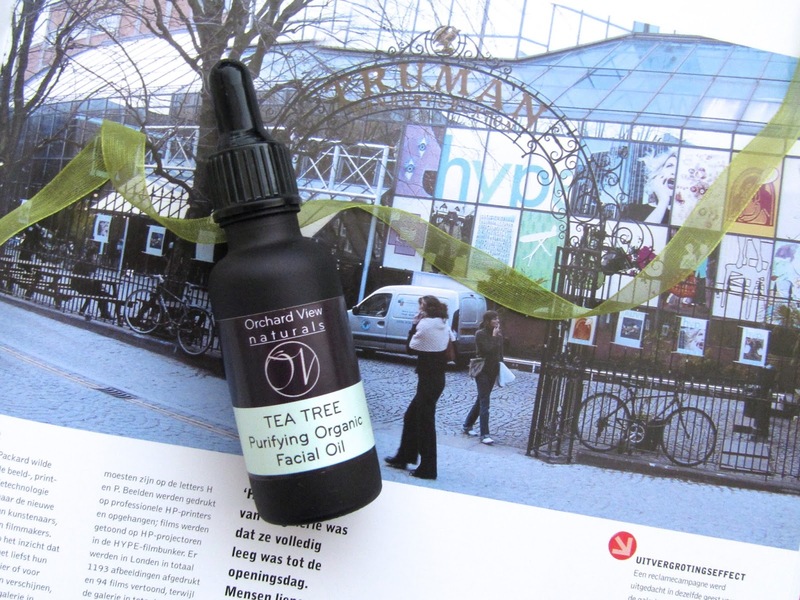 They’ve got five types of organic artisan facial oils produced by Lucy herself, which are Infused Marigold, Triple Rose, Tea Tree, Orange Blossom and Rose Geranium – something for every skin type. All products include 99.5% certified organic ingredients, are 100% natural, cruelty free, vegan and completely nasties-free. All products come in three sizes, so you can decide upon yourself which size you want to get (also depending on what your skin is demanding). All oils are really affordable, with a starting price of £8.50. Especially when you take into account the ingredients and care that is put in there. So if that hasn’t increased your appetite, I’m not sure what will. I was really unsure which oil to get and Lucy helped me loads with explaining what each of them do and giving me many informative articles that would help my skin clear up – she’s simply the best. After my research and consultation, I decided to give their Tea Tree Oil a go. Now I’m still standing behind my statement that Tea Tree oil is aggressive and can dry out the skin very badly, however OV Naturals Purifying Tea Tree Facial Oil is not just like any other Tea Tree oil. It contains a beautiful blend of Sunflower oil, Calendula, Jojoba, Rosehip Seed oil, Tea Tree, Bergamot , May Chang, Rose Geranium & 100% natural antioxidant Vitamin E (in this order), making it very soothing and nourishing for the skin instead of drying it out. I’ve been using this all over my face, because of my breakouts and also because I can. The oil is very calming for the skin and with the richness of the oils, it makes it purifying and nourishing at the same time, so you won’t have those flaky bits around a blemish. I don’t have anything negative to say about the brand or it’s products and am already planning to repurchase the Tea Tree Oil and thinking which one to try next. They’ve got lovely duo sets (they call them Twin Collections) where you get 2 oils that would be a great combination together, making it much easier when you don’t know what to go for. What are your thoughts on Tea Tree oil?